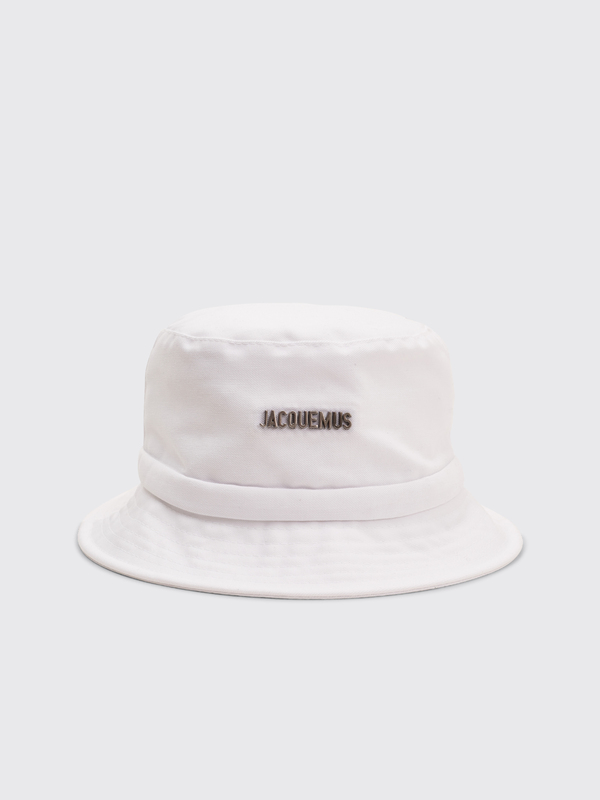 Bucket hat from Jacquemus with contrasting metal logo on the front and drawstrings on the back. 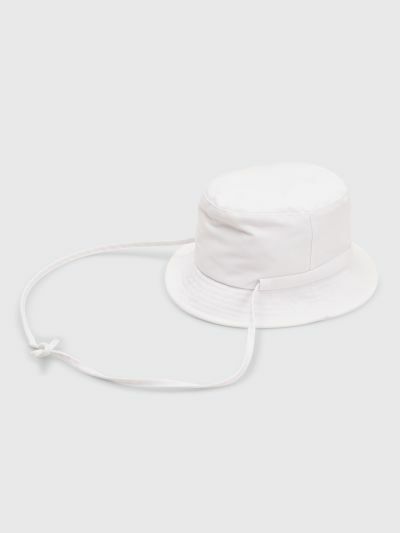 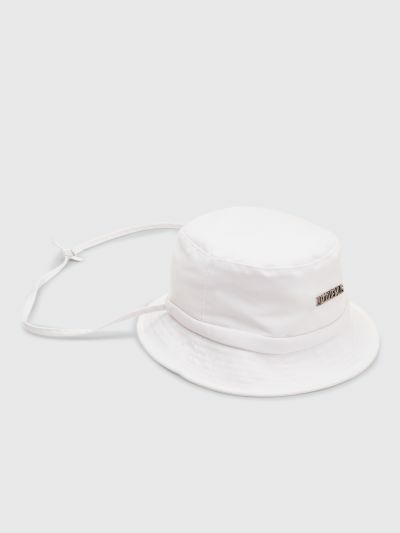 White bucket hat. 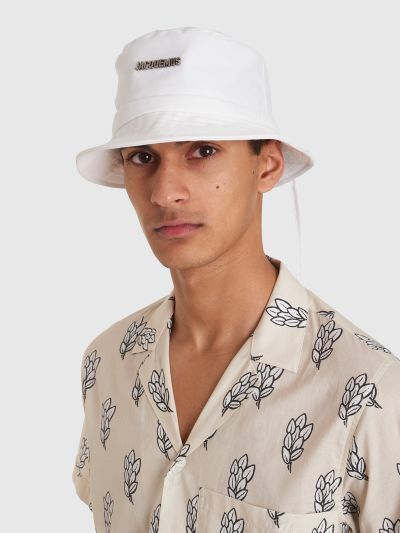 Made from 65% polyester and 35% cotton.